April ← 2009 ← Save Our Rail NSW Inc.
Save Our Rail NSW Inc. 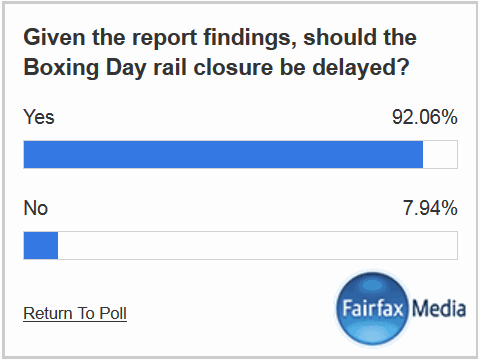 Poll results: 92% say delay any Boxing Day rail closure. 92% say delay any Boxing Day rail closure. Maitland Mercury online poll Friday 19/12/2014. © 2019 Save Our Rail NSW Inc. — All Rights Reserved.